This is the first and hopefully last time I'm re-painting an anime screenshot. Especially one of such low quality. Erza's hair still bothers me, but every time I tried to fix it, it ended up looking even worse. The shadows were either too bright or too dark. Red is such a bothersome color -.-' I have no idea how to work with it. All in all, it took me a couple of months to finish because I was being lazy and didn't want to paint the hair. 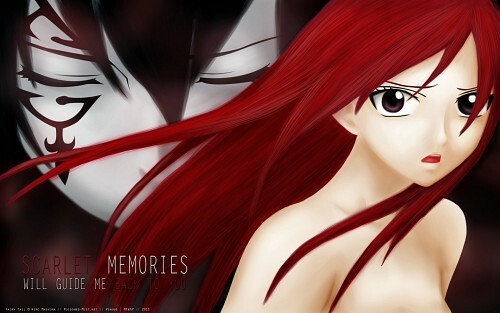 The original idea was a lot different with Jellal haunting Erza. Somehow it ended up much softer... It became more romantic than cruel and sadistic, I guess. Not that I mind because this couple has already suffered enough. This was also a little challenge for myself. I've always had problems with painting skin so I challenged myself to make a wallpaper with lots of naked flesh, lol. XD That's the reason why I took an anime screenshot instead of a proper scan. 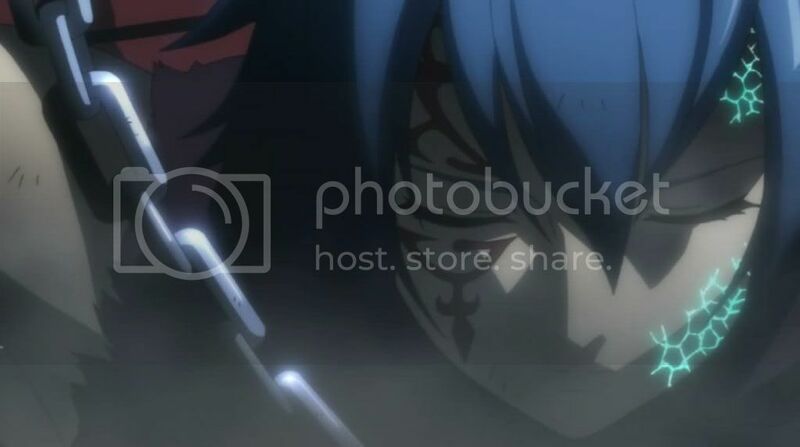 I actually like the image of Jellal (Gerard? Gellal? I never know for sure, lol) in the background, it adds to the nice screenshot-y dynamics of the wallpapers. The skin could use more detailed strokes in places like her nose, arm lines and lips but it turned out okay for your first try. And I agree that color red is very hard to work with, adding some hues of purple or even bluish gray on multiply and lower opacity might do the trick for shading it. Nice job overall and keep it up!